In this list there is something for everyone whether you are a hiker, fisherman, or just need one for your car. Seems like 2016 is really flying by and July is already half over or is it half left in July? The dog days of summer must be here because I am hearing that my beloved Yankees better start getting rid of players and start building for next year. I guess that “never give up” mentality has left New York. 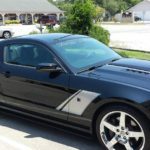 It is Mustang Week here in Myrtle Beach so traffic picks up once again but this time with a huge number of Mustangs in it. It will be a visually beautiful week, if you love Mustangs and if you don’t give back the money you took to stay in business. Just kidding. The store kind of slows down for a couple of weeks before we get right back into it for government spending season. If you are looking for a great deal on a small chartplotter that will not break the bank take a look at our very special deal on the GPSMAP 547, it comes with charting for both fresh and salt water so if you are bass fishing on Lake Marion or flounder fishing on the Intercoastal it has you covered. Well I will be back with you on Wednesday this week so stay tuned. Yep I am back from the mountains in Vt. and northern NY spent some time in Ausable Forks, NY on Fern Lake and time in Burlington, Vt before visiting my Sister in law in Potsdam. Great flights both ways and yes I did take a GPS with me for use in the rental car. It worked perfectly because there wasn’t an address for where we were staying on Fern Lake so I marked a waypoint and the Garmin got us back to it with ease in the daylight or after dark. I had almost forgotten how beautiful the drive is through Wilmington Notch up to Lake Placid and how much there really is to do there. Great weather to breath low 60’s in the overnight so leave the window open and turn the air conditioning off and breath deep because there is no humidity. It was great to get back and see some old friends, it was long overdue and I probably should have gone sooner because a number of them have past on., but I will catch up with them soon enough. Glad to be back at The GPS Store, I miss the kids here, they keep me young. Well Mustang Week starts on Tuesday next week so I am going to have to get ready because mine needs to be clean. Yes that is correct I am leaving for a week to go to the Adirondacks and home for me. Well not really my wife is from the Adirondacks while I am from the 1000 Island region of NYS on the St. Lawrence River. We will be in both though just long enough to say hi and by. We will start by visiting friends in Burlington and then on to Ausable Forks befor heading to Potsdam Canton area and day trip to the St. Lawrence. It will be quite a trip for us and hope we can catch a break with the weather. I had another day on the sales floor yesterday and it was a great experience for me. I really like talking to our customers and hear what they think of our store and the people who work here. I just hope I didn’t do anything to upset any customer. July is here so we are now fishing season is in full swing just about everywhere in the U.S. so take a look at what we have to offer if you are thinking about upgrading your electronics. Be back in one week so stay tuned.